The illustrations for the new MSC “Seaside” class from Fincantieri have provoked some discussion on recent changes in cruise ship design, which we examine today. Elsewhere, Noble Caledonia last week also announced that it was acquiring a third unit of the original eight-ship 114-berth Renaissance small ship class, and the third of four sister ships from the Apuania shipyard, south of La Spezia. Meanwhile, Louis Cruises is out to triple its French business to 10,000 passengers and has announced a second season for the Louis Cristal on charter to Cuba Cruise from Havana. The sole exceptions to this engines-aft trend were the Queen Elizabeth 2 of 1969, although her funnel was located somewhat aft of amidships, and the Vistafjord of 1973, both of which are today being converted into floating hotels. The first important modern ship to show this new funnel amidships arrangement was the 2,620-berth Queen Mary 2 a decade ago, although like Queen Mary 2 her funnel is also slightly aft of amidships. One other trend in recent years is the reversion to two funnels again, something not seen since the Queen Elizabeth, Mauretania and the France, which of course became the Norway in 1980. Noble Caledonia is about to acquire a third ship for its fleet, which will give them three of the four Nuovi Cantieri Apuania-built ex-Renaissance small ships. It was only four years ago that Noble Caledonia acquired the Island Sky, after chartering her for a few years, and two years since Noble Caledonia acquired its second vessel, the Caledonian Sky, the former Hebridean Spirit. 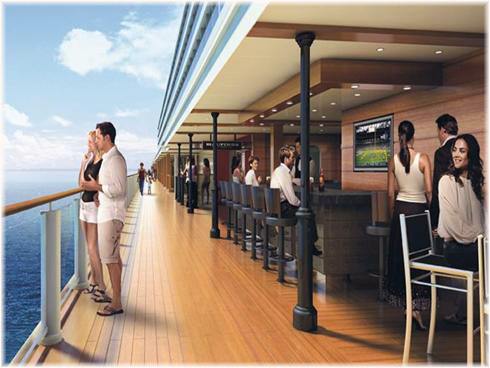 All three vessels can comfortably carry between 100 and 114 passengers. 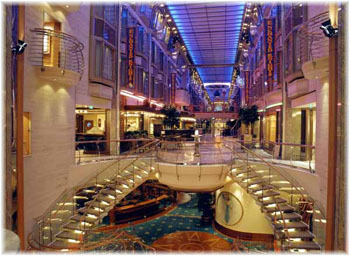 The ship is presently managed by Fleetpro Ocean as the Sea Explorer. All three ships were part of the original Renaissance Cruises fleet of eight small ships that preceded the eight larger R ships. The fourth Apuania-built ship is Fleetpro Ocean’s Sea Spirit. 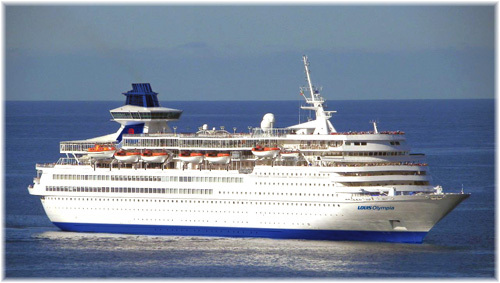 Sea Explorer was until recently Travel Dynamics’ Corinthian, which has now been replaced by Corinthian II, the former Clelia II. Corinthian II and Silversea’s Silver Galapagos are two of the second Renaissance quartet that were built by Cantieri Navale Ferrari. The other two have been converted to private yachts. 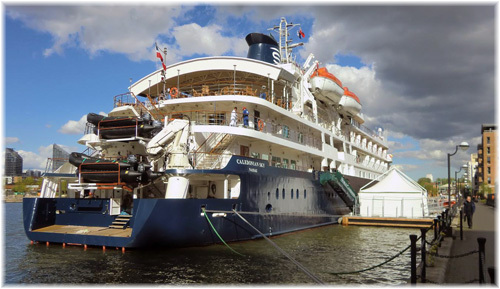 Founded in 1991, Noble Caledonia is known for expedition and small ship cruising. 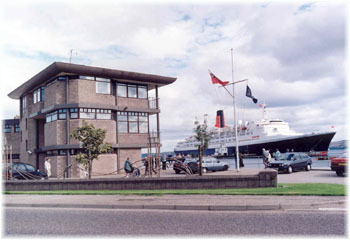 Its first ship, the 82-berth Caledonian Star, was operated by Noble Caledonia until 2000, and still sails today as Lindblad’s National Geographic Endeavour. Since then, growth has been steady and in more recent years has reached the point where in addition to its own fleet, Noble Caledonia charters up to twenty vessels a year. The addition of Sea Explorer will allow further cruises in Northern Europe, where she will expand Noble Caledonia’s offerings in Scotland, Norway, Iceland and later Spitsbergen. Although it was not announced, it is assumed that Salen Ship Management in Gothenburg, who manage the Caledonian Sky and Island Sky, will also manage the third ship. Sea Explorer will join Noble Caledonia this October, although existing charter commitments to Polar Latitudes, Poseidon Expeditions and Antarctica XXI will still have to be honoured. In early 2016, following a refit, the ship will begin cruising in Scotland and beyond under her new Noble Caledonia name. Like her sister ships, she will be equipped with a fleet of Zodiacs, allowing her to offer trips to the more remote regions for her 100 or so passengers. Caledonian Sky is sailing in the Pacific Ocean and Island Sky is in the Indian Ocean and from 2016 will spend summers in the Mediterranean. Details of Sea Explorer’s voyages will be published in October. Louis Cruises has appointed Rivages du Monde to represent the line in France and set an objective of 10,000 French cruisers this year. 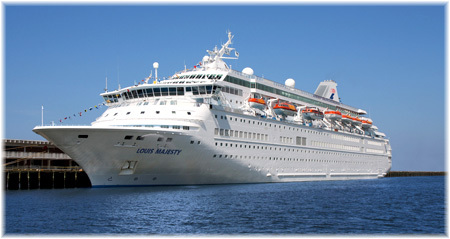 This is without a return of any of its ships to Marseilles, where until November 2011 it had based its Louis Majesty. With a part shareholding in the Marseilles Cruise Terminal, Louis booked 38,000 French passengers in 2011, and as many as 50,000 in 2010, when it also had other ships operating from both Marseilles and Genoa. The new French objective has been set very high, something that can be noted as Louis carried only about 3,000 French cruisers in 2013. Its target audience is French tour operators, particularly those serving the Greek market, as well as a number of travel agents and group operators. Since 2011, Louis has concentrated on its historical itineraries in the Eastern Mediterranean. At the moment, in addition to chartering two larger vessels to Thomson Cruises, Louis operates three smaller vessels, the 710-berth Louis Aura, 960-berth Louis Cristal and 1,448-berth Louis Olympia, on 3-, 4- and 7-night cruises in the Greek Isles. Meanwhile, in the Canadian market, Cuba Cruise will offer a second season of round-Cuba cruises this winter with the Louis Cristal. 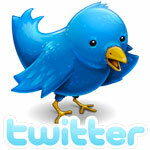 The line is offering an early bird discount, with 20 percent off bookings made before July 31, 2014. Cuba Cruise, which launched its first round-Cuba cruises in 2013/14, will resume sailing on December 22, running through to March 30, 2015. Louis Cristal will call at five Cuban ports, as well as Montego Bay, and will extend the amount of time passengers can spend on the Isle of Youth. 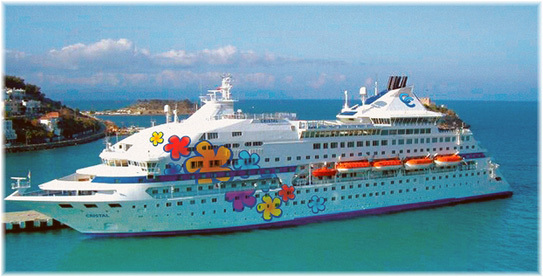 Passengers can board in either Havana or Montego Bay. The ship departs Havana and travels east around the island, calling at Antilla (Holguin), Santiago de Cuba, Montego Bay in Jamaica, Cienfuegos & Trinidad and Punta Frances on the Isle of Youth. The stay on the Isle of Youth will be extended with the new season. Given that Americans are still not free to travel to Cuba in large numbers, t is expected that Canadian passenger numbers will be up over the first season, something that hopefully will also help Louis with its Greek Isles business from that country.